The popularity of aluminium bi-fold doors for Bournemouth residents is unmatchable to any other double glazed doors on the market. These aluminium doors give Bournemouth homeowners beautiful panoramic views of the outside world and maximise the natural light coming into your home. All in all, a contemporary designed and elegant door option for your home. Our team of home improvement experts design bespoke aluminium bi-fold doors for all property types. The intelligent, space saving design and build of aluminium bi-fold doors make sure that they take up minimal space in your Bournemouth property. The double hinge door design means that each individual door folds right back onto one another. Once full open, sliding doors take up no more space than a standard door – ideal for homeowners with less space to play with. Throughout this article, we’ll look at what characteristics of aluminium bi-fold doors has helped elevate them into one of the most desirable products in Bournemouth. Immaculate Home Improvements are the leading home improvements company in Bournemouth, Dorset. We are a relatively new double glazing company, made up of the most experienced builders and home improvement experts in the Bournemouth area. Our team collectively has more than twenty five years’ experience behind them, highlighting us as one of the most professional home improvement companies in Bournemouth. So, what separates us from the local competition? It’s simple, Immaculate Home Improvements offers an extensive range of services including building work, loft conversions, drainage, driveways, bathrooms and bespoke double glazing. Essentially, Immaculate Home Improvements was established to give Bournemouth homeowners one place for all building work and double glazing. 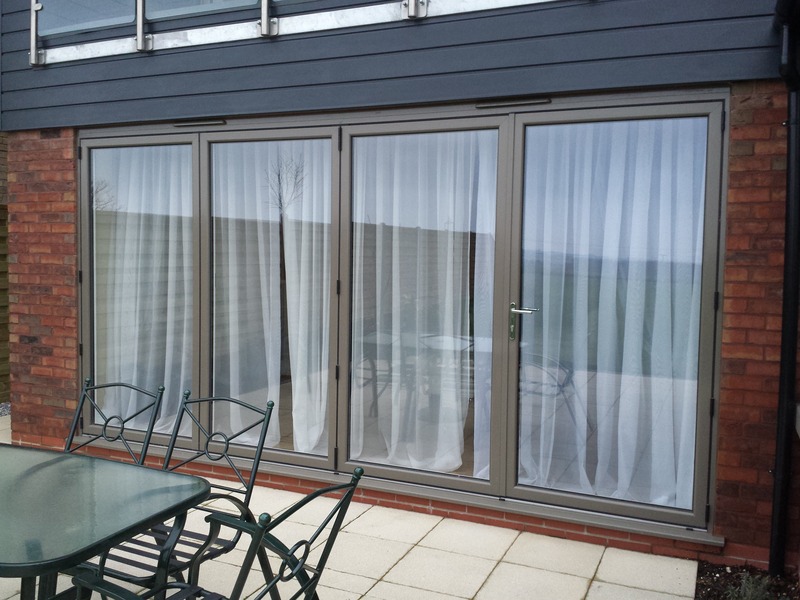 Immaculate Home Improvements offer our full supply and fit service for bespoke aluminium bi-fold doors in Bournemouth, East Cliff, Winton, Southbourne, Holdenhurst and the surrounding areas in Bournemouth, and towns throughout Dorset. We do offer our services outside of these areas, depending on the requirements of the work and nature of the job. To find out how we can help with your project, please get in touch with us today to see how we can help with your home improvement requirements. Aluminium was originally used within the commercial side of the market; more often than not in places like restaurants and shopping centres. Loved for their long life span, strength and colour options, aluminium requires little to no maintenance in order to retain their leading qualities. Homeowners quickly caught wind and fabricators developed a range of products. The slim and attractive appearance help give your home a minimalist and contemporary feel, complementing the existing aesthetics of your property. Performance wise, aluminium is in a league of its own. Offering leading security and energy efficiency values for the most attractive price. 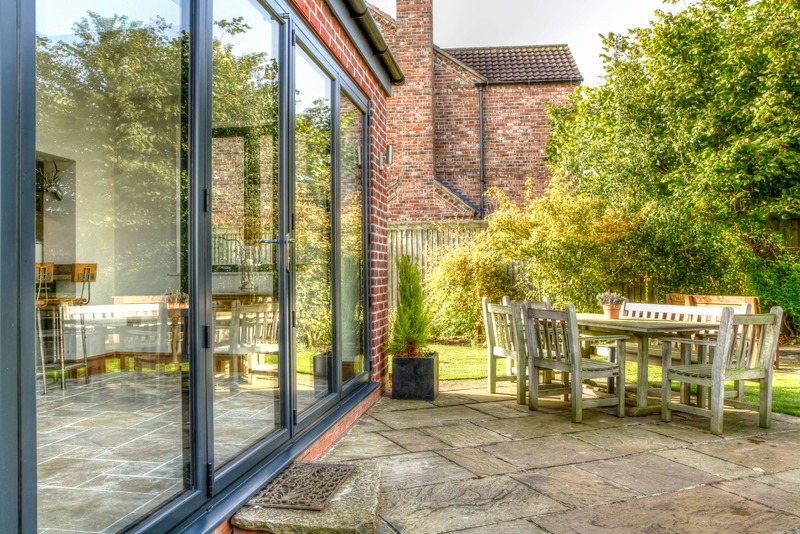 Although an entire wall of your home is essentially replaced with a wall of glass, aluminium bi-fold doors are amongst the most energy conscious products on the market. Immaculate Home Improvements the most advanced glass for our double glazing to minimise cold air making its way into your home. 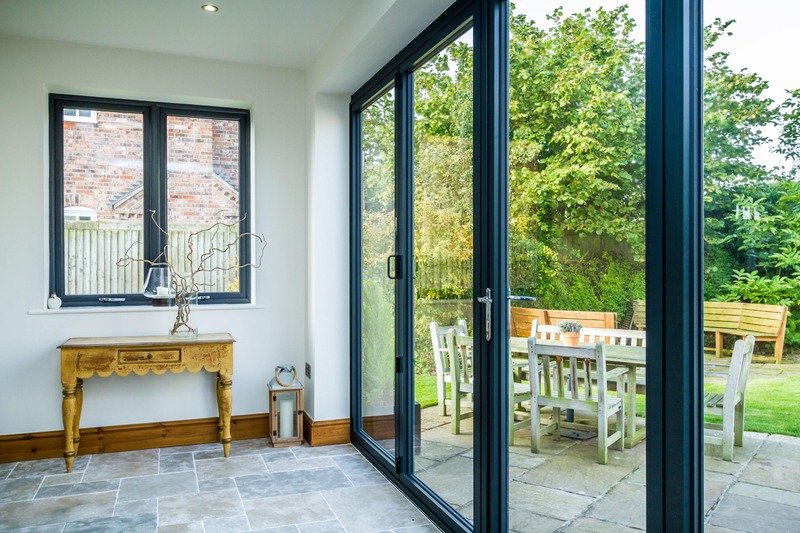 Our aluminium bi-fold doors are fitted with a high quality sealant which holds the glass firmly in place and adds additional protection from the cold. On top of all this, you have one of the most experienced installation teams in the country. We will make sure your new sliding door is fitted to the highest standard, maximising the energy saving values of this simply brilliant door. Security is of utmost importance when talking home improvements, doors, and double glazing. At Immaculate, we take every possible precaution to ensure your new aluminium sliding door increases the security of your home in Bournemouth. You deserve peace of mind, and our aluminium bi-fold doors deliver just that. Aluminium is an incredibly resilient material, well known for its strength. The door itself is made from a specially reinforced aluminium frame, which has been treated to withstand corrosion that could ultimately lead to a decrease in strength. When fitting your door, we are more than happy to give you a full working demonstration; pointing out all of the inbuilt security features and offering tips and tricks to maximise the security of your home. Immaculate Home Improvements has invested in the most sophisticated and advanced software to allow our users to generate instant online quotes for our aluminium bi-fold doors. The best thing about our quoting engine is that it’s free and interactive, allowing users to design their perfect door in just two minutes. Experience this for yourself, visit our quoting engine page to get your free quote for aluminium bi-folding doors in just two minutes. Or, if you’d prefer, get in touch with one of our friendly team members to discuss your requirements.